■ Laparoscopic radical nephrectomy is standard treatment for renal cell carcinoma. The indications continue to broaden. ■ The intraperitoneal approach is particularly useful for large lesions or in patients with a tumor in an ectopic or horseshoe kidney. 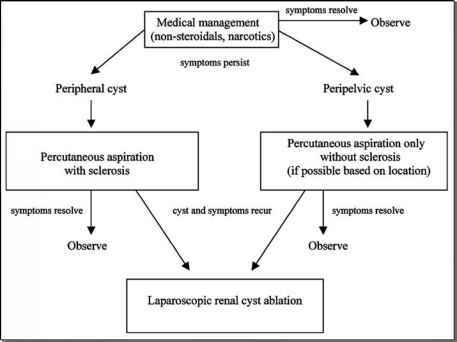 ■ Transperitoneal laparoscopic nephrectomy has a complimentary role with retroperitoneal laparoscopic nephrectomy. ■ The retroperitoneal approach is preferred in patients with significant intra-abdominal scarring.